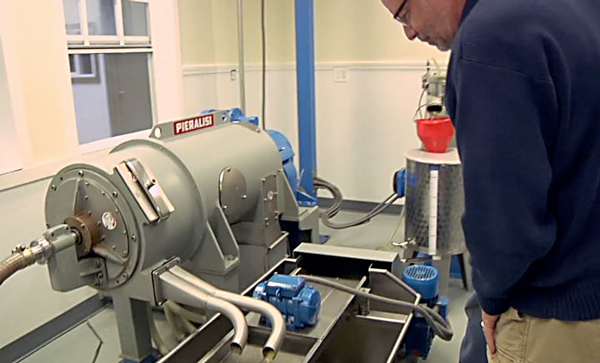 REGALO IS PLEASED TO OFFER OLIVE MILLING / PRESSING SERVICES TO THE PUBLIC AT OMAGGIO FARM. PLEASE REFER TO CUSTOM MILLING AGREEMENT BELOW (DOWNLOAD) FOR DETAILS. We are the southern-most public olive mill in California and have years of experience making premium extra virgin olive oil and pressing and bottling custom orders of premium extra virgin olive oil for families, estates, resorts, chefs, colleges and universities, and even other premium olive oil companies. 1. Reservations are critical as the fall pressing season becomes very busy very quickly. We will not be able to press your olives without a reservation. We will need all of your contact information including name, address, phone, and email address. 3. Plan on harvesting your olives entirely on the day before pressing. Olive harvesting is a very labor-intensive activity. Make sure you have enough labor to ensure harvesting all of your fruit quickly so that it can be pressed promptly, all at once. 4. Arrange to have your olives shipped to us immediately after picking, or early the next morning (as per the Milling Agreement). This will allow us to press your olives the morning after harvest in the most timely fashion for public milling, ensuring you the highest quality extra virgin olive oil possible. (The free acid content– a prime indicator of freshness and pressing quality – of ours is typically – 0.03%, far below the industry standard for “extra virgin” olive oil of 0.5% – because we press as we harvest.) Please make sure you have identifying information on your olive containers, as per the Milling Agreement. 5. Our basic charge for milling is per ton of olives, pre and clean up. However, we are able to press smaller lots of olives (less than 1,000 lbs) at a significant discount, provided they can be combined with other small lots to achieve sufficient volume to run our imported Italian Pieralisi press. For combined lots, the oil produced will be a blend of the combined olives and the oil will be divided between the clients based on the weight of olives they contributed to the combined run. Early scheduling and confirmed reservations are essential as coordination of a number of clients is necessary. 6. Your fresh premium extra virgin olive oil will be available to pick up the day following pressing. Please plan on picking up your oil promptly to avoid additional charges. How much extra virgin olive oil should I expect to get? 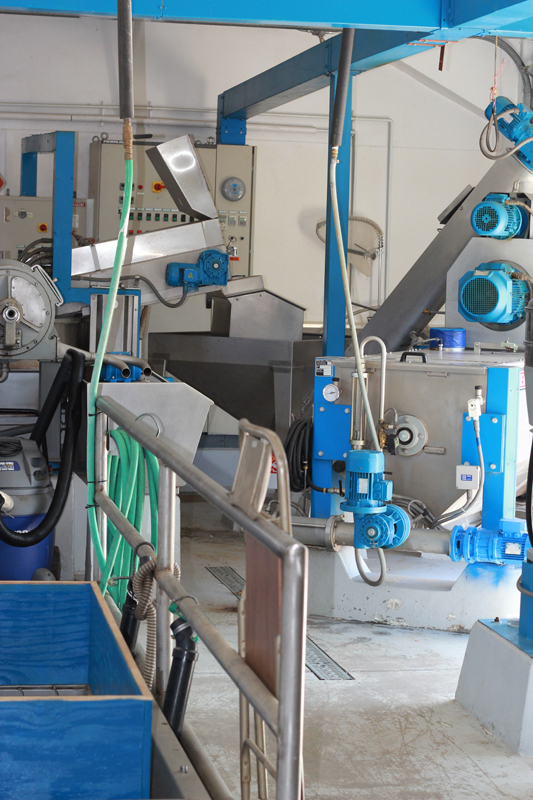 Efficient modern pressing will usually produce between 24 and 40 gallons of extra virgin olive oil per ton of olives, depending on the variety. A mature olive tree will produce about 40 lbs of olives, and about 1 gallon of oil. The color of your olive oil – whether clear, golden or green, will depend on the variety of your olives. Because of the efficiency of our modern centrifugal Italian Pieralisi press, essentially all of the oil from your olives will be extracted as “extra virgin”, provided it is harvested and delivered to us promptly. When should I harvest my olives? Olives are harvested once a year, in the fall to early winter. Olives harvested early in the season will generally be green and have a high polyphenol content (important to the health benefits of extra virgin olive oil). This improves the shelf-life and will help achieve a lower acid content in your oil. However, early harvest extra virgin olive oil may be very harsh and caustic, necessitating allowing it to rest for months to mellow. Harvesting late, when the olives are generally dark purple, will generally produce a milder, fruitier oil with a lower polyphenol content. We like to have the best of both, and recommend harvesting when about 1/3 to ½ of the olives on your trees have begun to take on a purplish hue, while the others are still green. Every year is different, but in Southern California, this is usually in mid-October to November. What kind of olives to I have? Only an expert can tell by looking at the fruit or olives, and I haven’t met one yet who can do it. Some olive trees have a characteristic appearance, but for the most part they’re very hard to distinguish from one another. Olive varieties from Europe imported especially for making olive oil are fairly new to the US (meaning the west coast). Therefore, if your trees are very big and old, they are probably from the Spanish era. Most of these older California olive trees are Mission, which make decent extra virgin olive oil, and Manzanillo, which don’t (they are very pulpy, watery and messy with little oil). We do not recommend going to the time and expense of harvesting and pressing Manzanillo olives.